Analysis: The deal Dunn elected to sign is worth just over $2 million. 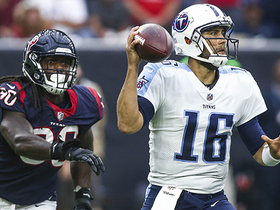 Dunn started at nose tackle for the Texans in 2018, accumulating 24 tackles (13 solo) and one forced fumble across 14 games. 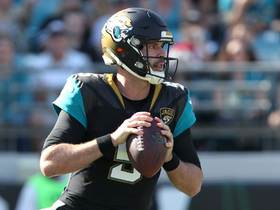 He appears on track for a similar role during the 2019 season. 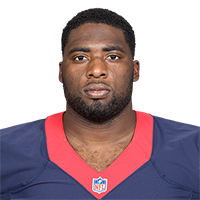 The Texans submitted a $2.025 million tender to Dunn on Monday, Aaron Wilson of The Houston Chronicle reports. 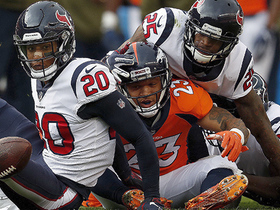 Analysis: Dunn was decent for the Texans in 2018, racking up 24 tackles (13 solo) and one forced fumble in 14 games. In theory, a team could still sign him to an offer sheet but would have to give up a draft pick in return if Houston doesn't match it. 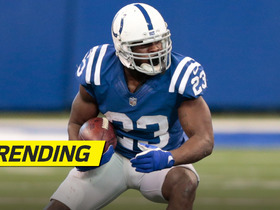 If the 26-year-old stays, he likely will be the favorite to regain his role as the starting nose tackle. Dunn (ankle) was a full participant at Wednesday's practice, Aaron Wilson of the Houston Chronicle reports. Analysis: The development points to Dunn being active for Saturday's wild-card matchup with the Colts. Barring any unforeseen setbacks, Dunn should serve in a starting role at nose tackle. Dunn (ankle) is inactive for Sunday's contest against the Jaguars. Analysis: Dunn is missing his second-straight game due to his ankle injury. 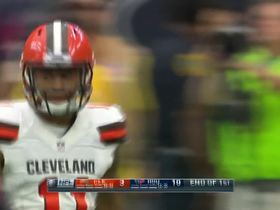 He was listed as questionable entering the game and will have a chance to play next week if the Texans don't secure a first-round bye in the playoffs. Look for Angelo Blackson to draw the start at nose tackle with Dunn out. Dunn (ankle) is questionable for Sunday's game against the Jaguars. Analysis: Dunn was similarly listed as questionable for last week's game against the Eagles, only to be downgraded to out Saturday. Angelo Blackson would likely grab another start at nose tackle should Dunn be unable to suit up. Dunn (ankle) has been downgraded to out for Sunday's contest against the Eagles. Analysis: Angelo Blackson is expected to step in at starting nose tackle, but it remains to be seen if Dunn could miss additional time past Week 16. Dunn (ankle) is officially listed as questionable for Sunday's game against the Eagles. Analysis: Dunn was a limited participant in practice all week and could be a game-time decision versus the Eagles. If Dunn were to miss any time, Angelo Blackson would be the main beneficiary of increased snaps. Dunn suffered an ankle injury and is questionable to return to Saturday's game against the Jets. Analysis: Dunn has played every game since the start of 2017 for the Texans, but was forced to leave this one early. Christian Covington and Angelo Blackson are the remaining reserve defensive linemen available for Houston should Dunn be unable to return. 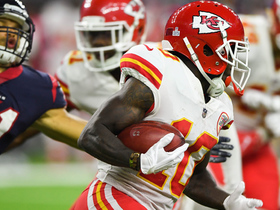 Kansas City Chiefs wide receiver Tyreek Hill beats defenders with a spin move for a gain of 14 yards. 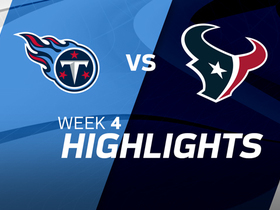 Houston Texans quarterback Deshaun Watson puts on a show with five total touchdowns, while Tennessee Titans Marcus Mariota leaves the game after one half in a 57-14 Texans victory.